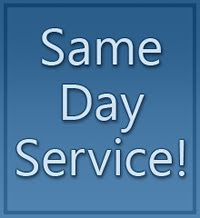 Option One Plumbing specializes in plumbing repair for residential and commercial 24 hours 7 days a week. We're the plumber you can count on in a emergency. Call us early morning, noon or night and we will be there. Option One Plumbing is continuously ready and prepared with all the proper tools and equipment to deal with any problem that arises whenever your plumbing stops working. No need to panic, Just call the best Plumber in Bakersfield. As well as being on call for emergency Plumbing Service 24 hours a day, 7 days a week, we are also able to schedule installations of water heaters, sump pumps, sinks, tubs and toilets. We have the ability to re-pipe those older houses or replace the broken sewer line that has tree roots in it. Our plumbing team is licensed and up to date with the current technologies. The latest tankless water heaters and water saving plumbing fixtures are just a few of the advancements we're trained to put in and also repair. Option One Plumbing will be happy to answer your plumbing questions any time on the telephone or in person.